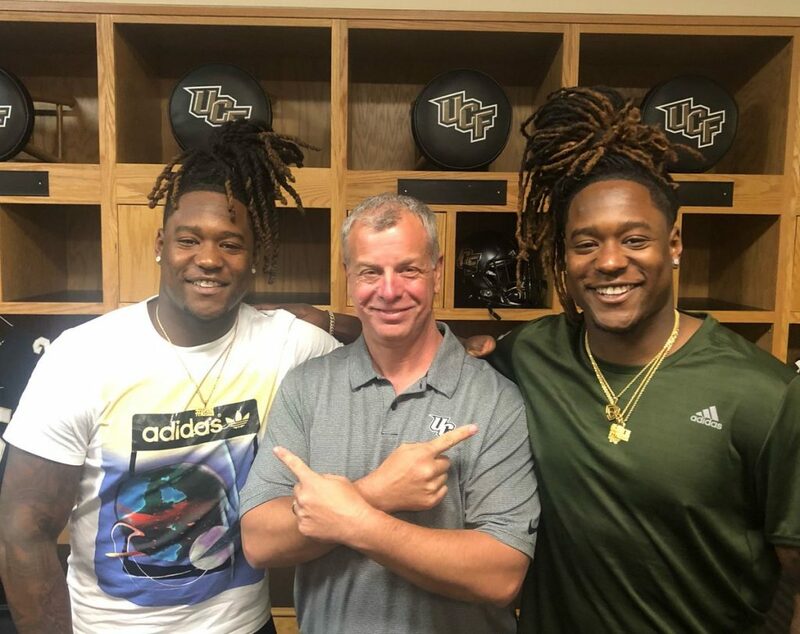 Amongst all that, Andy was also helping share the inspirational story of Shaquem Griffin, who didn’t let losing a hand as a four-year-old stop him from starring for the Knights. Worldwide attention followed when the Seattle Seahawks selected Shaquem in this year’s NFL draft. UCF is the largest university, by enrolment, in the United States – and Andy has enjoyed a good view of the country by also working at colleges in Missouri, Minnesota and Utah. 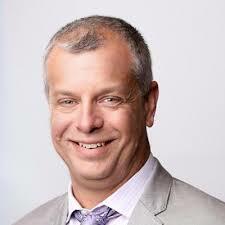 Those experiences contributed to him serving as President of the CoSIDA organisation, which brings together the thousands of communications professionals driving NCAA teams. Andy was kind enough to fit us into his busy schedule and share thoughts from juggling external and in-house media to UCF’s infamous Citronaut mascot. To set the scene, Andy, can you first tell us a little about UCF and the range of sports played within your athletics department? Yeah, sure. We have about 435 student-athletes across 16 sports. We play in NCAA Division 1, which is the highest level there is in college athletics here in the States. We also play in the highest level of college football, which is the Bowl sub-division. It’s a pretty big school that we have here at UCF – the largest in the nation. And it’s a very young school, too, with an even younger athletics department. But we’re on a great trajectory and it’s a really good place to be right now. What does the communications side of your department look like? We have five full-time staff – six including me. We have one focused on multi-media content, mostly digital video. The rest of us are more traditional media/communications folks, although we’re all dabbling in social and digital media. It’s an ever-changing role working in communications. We try to stay on top of the trends and be out in front of things as much as possible. How do you manage the dominance of football alongside supporting 15 other sports? We take the philosophy that we try to treat everybody as similarly as possible. When you say that, you also understand that the way college sports work in the States is that, if you have football, it’s usually the largest revenue driver. It’s the engine which drives the rest of the operation. So, while your women’s soccer team may not make revenue, they understand that it’s the football team which makes a lot of the revenue that drives what they do. At UCF, football makes probably 80-90% of the revenue. Men’s and women’s basketball, and maybe baseball, bring in small percentages. That’s very similar around the country, at least in schools at this level that play football. And when you have schools that don’t play football, it’s men’s basketball that is that revenue driver. It’s a balancing act. But we always shoot for fair, even if it’s not equal. Like all colleges, you need to help manage the academic, as well as the sporting, side of student life. How do you do that? Part of being a student is that you have to maintain a minimum grade point average to be eligible to play. The model we have here presents a great opportunity for folks from all over the country, and the world, to be able to play a sport they love and have their education paid for in full or in part. In exchange, they help bring their school prestige through their exploits on the court, field or diamond. We have limited amounts of time that we get to make our student-athletes available to the media. For instance, I try to make the starting quarterback in my football team available only one day a week. In the National Football League (NFL), a starting quarterback might be available multiple times. We also have plenty of support systems for student-athletes around personal and professional development – and academic support as well. The student-athletes have basically the same avenues open to them as anybody else on campus from a tutoring or academic support standpoint, but we provide those actually within the athletic department. When the Seattle Seahawks picked Shaquem Griffin in this year’s NFL draft, his story came to worldwide attention. You worked closely with Shaquem for a number of years at UCF. Can you tell us a little about him? One of the absolutely great things about working in college athletics is that you’re around all these young people and you’re able to help them tell their stories. 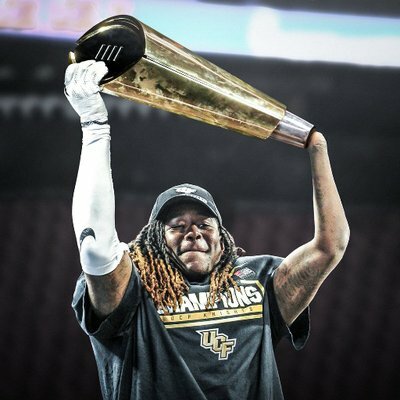 And there’s no story that I’ve ever been a part of that’s been more inspirational than that of Shaquem Griffin. Shaquem was born with amniotic band syndrome. He is a twin and, when he was in the womb – and I understand this is a little more prevalent with multiple births – some fibre wrapped around his wrist and didn’t allow his left hand to form correctly. When he was four, that hand was amputated. He has not let that slow him down one bit. He and his twin brother Shaquill are both spectacular athletes. They both played football here at UCF and they were both drafted into the NFL. Shaquem did that a year later than his brother, as he took what we call a Redshirt – he did not play his first year at college – so he had one more year of eligibility. Shaquem is incredible and I could talk for hours about that young man. What he does is an inspiration for young people and for families. And what he’s been able to do on the field, also, is an inspiration for people with a – and I hesitate to say the term – disability. Because Shaquem himself does not look on it as a disability. He says you only have one if you believe you have one – and he certainly doesn’t believe that. It’s been my honour to have a small part in trying to help tell his story. Shaquem was part of a good UCF football team last year, I understand. If you take a couple of steps back, we’ve been pretty good in football before. We had a season in 2013 that was outstanding, with only one loss, a major bowl win, and finishing in the top 10 in the country. But some things fell apart a little bit a couple of years later and, two years after finishing in the top 10 in the country, we did not win one game. Shaquem was on that team, actually. A new coach came in, though, and we won six games the next year. Then, last year, we were able to win 13 games. It was a magical run: 13-0. We were the only team out of 130, in our level of college football, to win every game they played last season. That brought an absolutely unprecedented amount of exposure for us from a media relations and communications standpoint. It was certainly a taxing year, but one I would never trade for anything. And it’s a lot more fun to do that work when you’re 13-0 than when you’re 0-12, I can tell you that much. 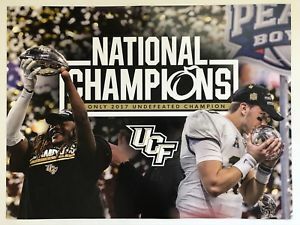 Following the success of last season, UCF proclaimed themselves ‘National Champions’, when, if I understand correctly, you weren’t invited to the Bowl games that others consider to determine such titles. Could you talk me through that situation? College football is the only sport within the NCAA which doesn’t have an NCAA sanctioned or NCAA run tournament to pick a champion. So, throughout the course of history there have been multiple years where more than one team has either claimed or been named a national champion. We now have what is called the College Football Playoff, but that is not run by the NCAA. It’s run by an outside entity and it’s very heavily-slanted towards a certain group of schools and conferences which, unfortunately, UCF is not a part of. Despite our stellar record, and despite having the best offense in the entire country, we were not invited to take part in that four-team playoff last season. In our Bowl game – the Peach Bowl – we beat Auburn. Auburn was the one team that beat both of the two teams that played for the College Football Playoff title. With us finishing as the only undefeated team – and having beaten the team that also defeated the two teams that played for the “National Championship” – we believe that our student-athletes deserved recognition as National Champions. We proclaimed them as such and we had a number of news and other organisations name us that as well. So, we feel like we certainly have some precedent to be able to claim that national championship and give our student-athletes the recognition they deserve. I don’t know how you could tell a team that won every game they played… that did not lose a game… and they’re the only ones to do that… they’ve done everything they possibly could have done. So, how do you tell them they’re not champions? Will that put a little extra spice on some games this season? If we were playing Alabama, who won that playoff, that would certainly create some spice. But really where it has created a lot of spice is within the media and social media and with fans. 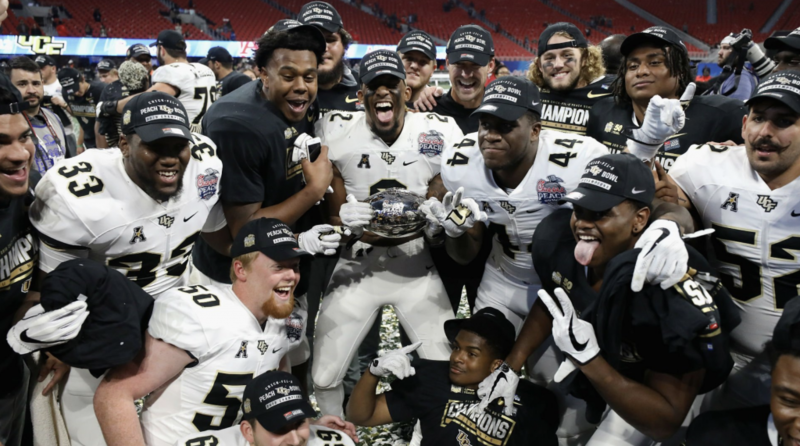 It would have been great to say: “Well, Alabama won the playoff and UCF is claiming they won the National Championship, so let’s put the two teams together.” Unfortunately, it’s not quite that simple. You schedule things many years in advance. But even to this day – a full 7½ months later – there’s not a day that goes by that it isn’t discussed. And while what we did was not a publicity stunt – as we believed that our student-athletes deserved that recognition, even down to us paying out bonuses in the coaches’ contracts – it has certainly been great for us from a publicity standpoint. Anyone working in sports communications is juggling servicing external media versus delivering things through internal platforms. How is UCF managing that space? We have to make sure that the external media that covers us has the access and information that they need, but we also understand that we need to provide information to people directly as well. It’s a tightrope. And I don’t know if there’s a succinct answer as to best practice for that. We look at a lot of things on a case-by-case basis, and whether we want to: (a). pitch a story to someone or (b). tell it ourselves. And sometimes it comes down to whether we think we can tell it better or whether we feel like the exposure from telling it externally is better. Sometimes it’s a model of both. It’s tricky territory to get right. I had a conversation with my boss just last week. We were talking about all the things that had been added to our list of responsibilities, but how very few, if any, had been removed. At some point there’s just not enough time – not enough bandwidth – to accomplish everything we’re being asked to do. So, something suffers. As a group, I think collegiate athletics communicators find that situation difficult to deal with. We’re the types of people who don’t want to see anything go undone or not done as well as we possibly could. So, that’s one of the challenges many of us are facing right now. We’re trying to determine what, if anything, we can stop doing so we can continue to do the things that have been added to our plate. Or we’re looking at how we lobby our administrators for more help. When I did a role similar to yours, Andy, one thing I wanted to stop was my athletes waiting around to use my phone for media calls. That led to creating Blinder, which UCF have been one of the first colleges in the US to adopt. Why’d you move so quickly? I’ve joked that I’ve become a Blinder evangelist. My feeling is that the technology you’ve all created – which allows athletes to receive media calls without sharing their number – is an absolute godsend. In general, you don’t want to give out a student-athlete or a coach’s phone number. You don’t want the media to just feel they can call them anytime they want. So, from a privacy standpoint, it’s huge. Then, when we do those media availabilities, I used to have to stagger phone interviews. I would take my phone and hand it to one person and then, when they’d finished, I’d have to find the next person, and call the next reporter, and hand the phone over again – and so on and so forth. I was either doing that or I was asking my staff to leave their office – and leave the work they were doing on another sport – to come down with another phone so we could knock out phone interviews at the same time. Blinder eliminates both of those problems. 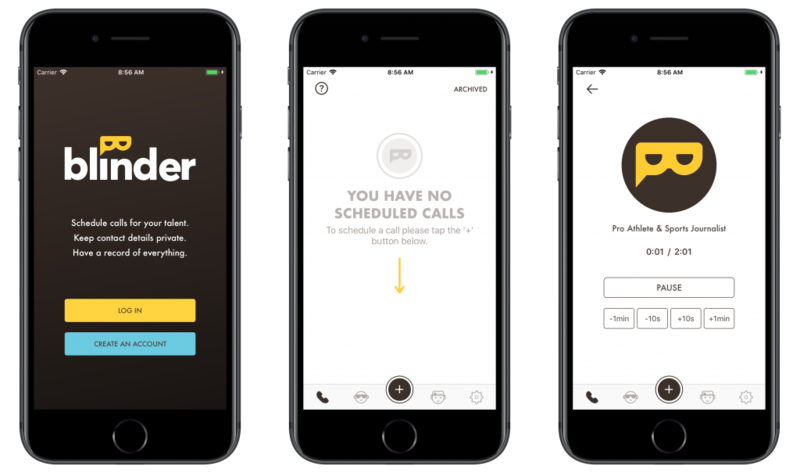 Personal numbers aren’t shared and we can have everyone receiving calls simultaneously. On top of that, as the communications manager, you have access to recordings as soon as the calls have finished. And you can utilise those in any number of ways for yourself if you have permission from the folks doing the interview. You can also utilise Blinder for your own interviews, like if you need to talk to a student-athlete or coach and you’re not physically in the same location as them. I can tell you, having used the product now for a couple of months, it’s a great, great tool. You’re a recent President of CoSIDA, which represents the College Sports Information Directors of America. How was that experience and what is the organisation looking to achieve? CoSIDA, in my view, is an advocacy and professional development organisation. It covers all of us involved in the college athletics communication field in the US, as well as a number of schools in Canada. We provide educational and professional growth opportunities through our annual convention, along with ongoing webinars and things throughout the year. One of our major roles is to advocate for our membership within the profession and within the greater business of college athletics. We have over 3,000 members and regularly have about 1,000 attend our national conference. It’s an important organisation within not only our field but within the entirety of college athletics. Finally, Andy, your college has one of the more distinct retro logos in its communications bag of tricks. Could you tell us a little about the Citronaut? Well, we like to call the Citronaut, not a throwback, but a fauxback. It was something that was drawn on one of the very first university catalogues, when UCF was known as Florida Technical University. It was never an official mascot, but we’ve adopted it and we’ve used it on some of our uniforms in the past. In the late 1960s, during the space race, our university was founded to support the space program. We’re only 30mins from Cape Canaveral. And if you know anything about this part of the country, we grow a lot of citrus products here. In fact, our university is located right where a number of orange groves were. 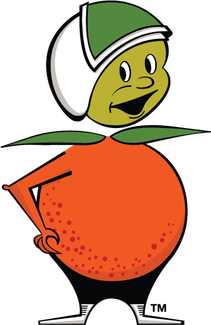 So, the Citronaut is kind of a combination of a little Martian/spaceman guy and an Orange. It’s certainly interesting. It’s quite brilliant, Andy. Thanks for chatting with us. You can keep an eye on the UCF Knights here. Caley Wilson is a former media manager of the New Zealand rugby league team and the Northern Mystics netball side. 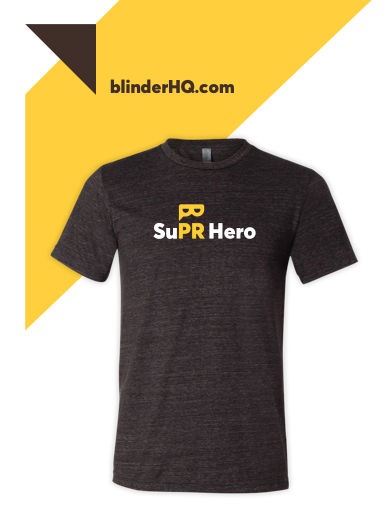 He is a co-founder of Blinder.